Nearly every year for the last decade, we've spent the weekend following Thanksgiving with friends who live just outside Chicago, and our itinerary always includes a fair amount of Black Friday browsing, buying and bargain hunting. For me, this treasured tradition is as much about spending time with people we love (but don't see as often as we'd like) as it is about hitting the holiday sales. As I described the annual excursion in last year's Black Friday post, it's "friendship with a side of shopping." 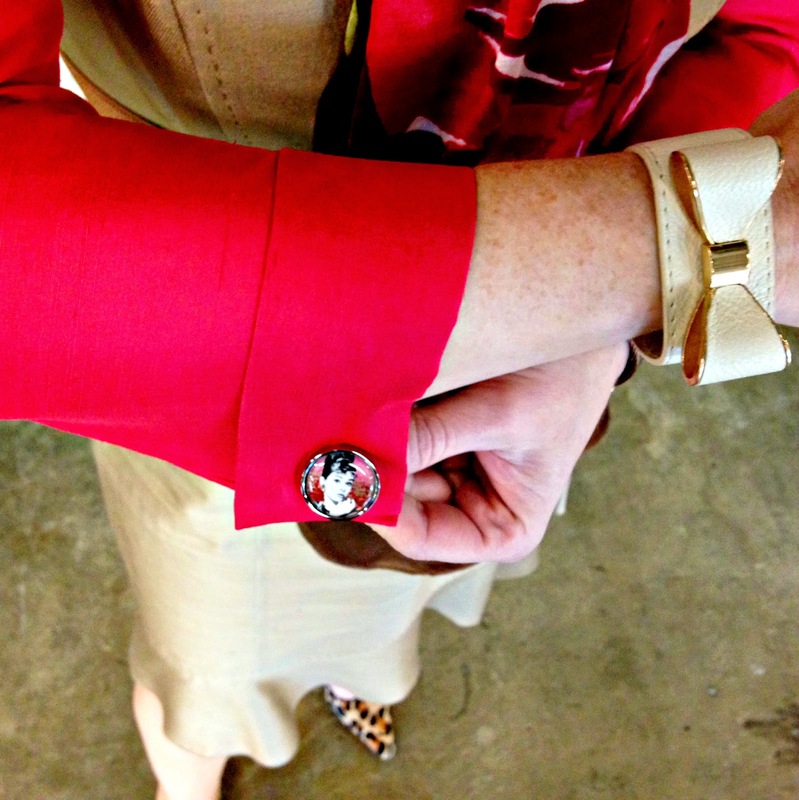 I'm obsessed with quirky cufflinks, and often have regular blouses turned into French cuffs by my favorite local tailor. I found these Audrey Hepburn cufflinks at Beluga Home Studio's Etsy Shop. This year life got in the way, so we agreed to take a hiatus from the hullabaloo. While I missed the tradition, the truth is I usually buy as much for myself during the annual shopping trip as I do for those on my Christmas list. And you know what, I just don't need anything (and my holiday shopping is nearly complete, anyway). So, I decided to skip the Black Friday specials altogether and focus instead on preparing for Giving Tuesday or, rather, "Giving Shoes Day" as it's been dubbed by Dress for Success Indianapolis, an organization whose mission is to promote the economic independence of disadvantaged women by providing professional attire, a network of support, and career development tools. After several hours of closet cleaning and culling my shoe collection (with a fair amount of dancing and lip syncing to Maroon 5 while I was at it), I felt organized and refreshed. More importantly, I found several pair of rarely worn dress shoes in excellent condition to contribute to the cause. Beyond shoes, the organization also has a list of other needed items that it hopes to collect through its "15 Days of Giving" initiative. When I reviewed the list (below), I realized I could donate a number of never used mascaras and other high end toiletries I've received as free samples or "gifts with purchase," as well as an accumulation of extra padfolios and flash drives that have piled up over the course of several continuing legal education seminars. I'm glad to know these items can be put to good use rather than languishing at the bottom of a drawer. I'm also planning to pick up some new packaged crew socks, knee highs, and hem tape to donate next time I'm out. These inexpensive but often overlooked items can make a small but meaningful impact on a woman working to support her family and achieve economic independence. Over the past 15 years of volunteer service with Dress for Success, I've met many incredible women that have been helped by the organization, some of whom I am still lucky enough to call my friend. Dress for Success is never about giving a hand-out, but ALWAYS about giving a hand up. I, for one, am honored to lend that helping hand (and a pair of shoes) where I can. 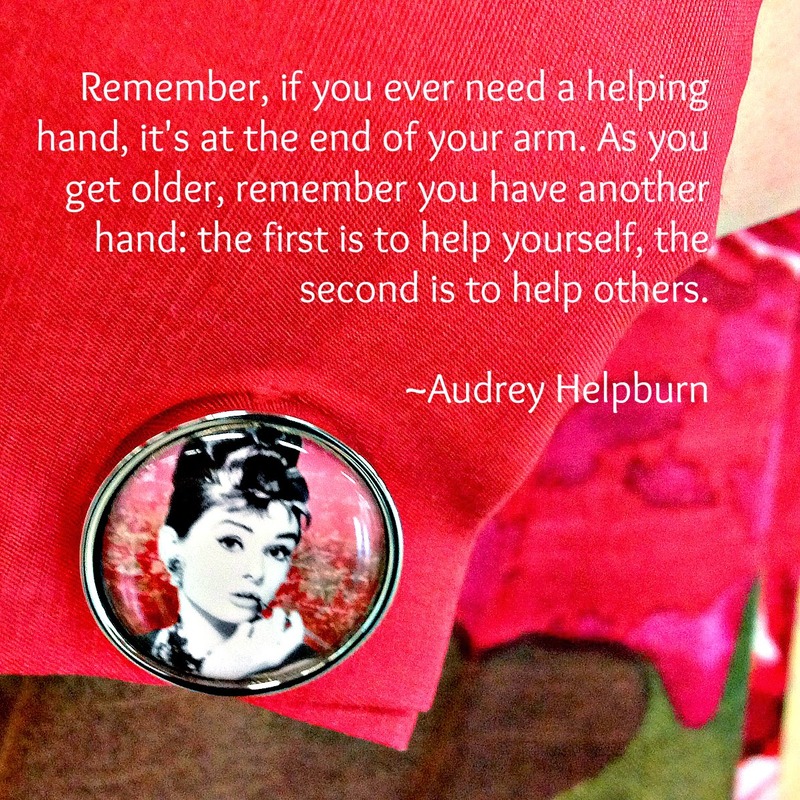 I hope you'll consider lending a hand, too.